The art of catching the cricket ball after it has taken the outside edge is a special gift. Some do it well, some not so well, and then there are the gifted few who do it with what appears to be nonchalant ease. No slip catch is ever easy because, generally, the ball gathers momentum as it flies towards the cordon. So what is required to be a top-class slipper? No doubt sharp concentration plays a big role in clutching on to the 156 grams of leather flying your way, but equally important is good technique. Crucial elements include excellent hand-eye coordination, soft hands, and balanced feet that allow for good lateral movement. Above all, a relaxed but sharp mind is key. The best piece of technical slip-catching advice I ever heard came from Mark Waugh, who was the best slip fielder I have seen. Whether standing back to the quicks or up close to the likes of Shane Warne and Tim May, Waugh was simply brilliant. His advice was: "Don't try and catch the ball, let the ball catch you." What does that mean? Well, most slip fielders tense their forearms upon seeing or hearing the edge, thus creating tension in the hands, which can have a disastrous effect on the outcome. Waugh was the opposite; he relaxed when the edge was taken and simply positioned his hands behind its line and absorbed its force upon impact. In simple terms, he caught it late in very soft hands. No tension, no panic. He made difficult chances look regulation. Another great slip fielder in my time watching cricket was Clive Lloyd. Supercat was a supreme slipper with bucket-like hands that swallowed cricket balls. His ability to hold on to rockets from Michael Holding, Joel Garner, Malcolm Marshall, Andy Roberts and many more was unbelievable to watch as a young boy. Jamie Siddons was the most brilliant all-round fielder, and most notably, unbelievably good in the slips. In Victoria's Sheffield Shield-winning side of 1990-91, Siddons held on to a record-equalling 23 catches in 11 games at second slip, and I don't remember him grassing a single chance. He was a supreme athlete who stood with an uncharacteristically wide stance. A wide stance normally lowers the centre of gravity and makes quick lateral movement difficult. Most very good slippers like Waugh, Ian Chappell, Warne and Mark Taylor are examples of the narrow-stance technique. The theory behind this is to be able to move your centre of gravity outside your base of support (your feet) quickly, which in turn enables swift lateral movement to swoop on wider chances. Siddons broke all the rules and still managed to take some stunning catches. Waugh, though, was the best. He was relaxed but always ready to swoop when a chance was presented. He took them high, low and wide. His stance was well balanced, his hands as soft as butter. 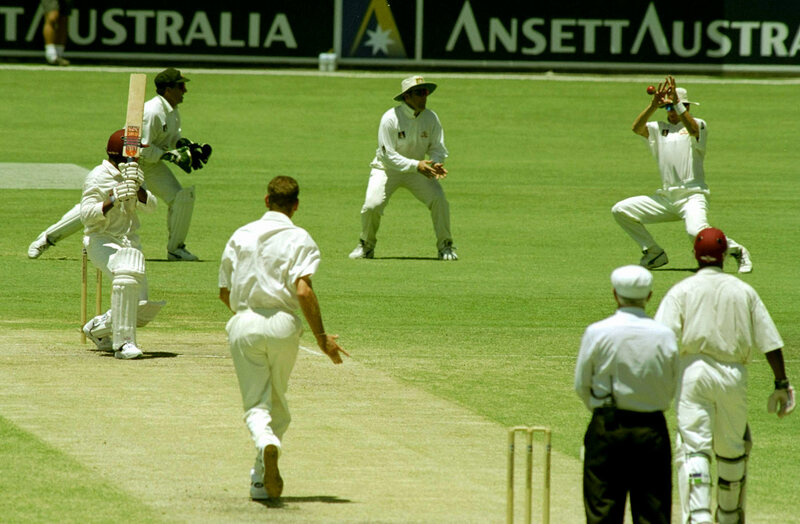 Australian bowlers fast and slow knew when they found the edge they were in safe hands with Waugh in the cordon. I struggle to remember Rahul Dravid dropping a catch. He is far and away the best catcher I have seen. During my playing days with New Zealand I watched Ian Smith, Jeff Crowe and Jeremy Coney play a crucial role in Richard Hadlee's success. Hadlee was a brilliant bowler but he had a great wicketkeeper, a great first slip and a great second slip. Equally, Rahul played a crucial role for India. It was very obvious Rahul had the temperament, technique and desire to stand at first slip. His strengths: great concentration, the most beautiful soft hands and a naturally great technique. And he worked very hard. I would hit him many catches and I never grew tired of watching him catch. Contrary to what some critics felt, Rahul was a natural slip fielder. He could not have kept wicket at the 2003 World Cup without having such good hands. 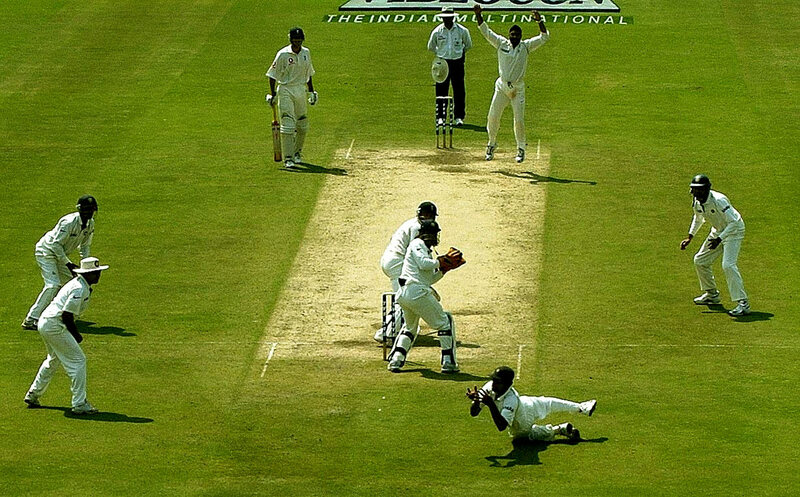 All the great slip catchers have this softness in the way they catch and Rahul was the same. Their hands almost hang from their shoulders. What also stands out is their rhythm and movement, the area they can cover. They give themselves the best opportunity to go with the ball, so there are times they are catching behind their eyes. There was one catch off Anil Kumble where Rahul was unsighted by the wicketkeeper. It had gone fine and it was the keeper's catch. But Rahul took it behind him with his left hand. The ball had almost passed him but he somehow caught it going backwards. Rahul caught brilliantly off quicks and spinners. Some critics have argued that most of his catches came against spinners, which they say compares unfavourably to others like Mark Taylor and Mark Waugh. But I would argue the job is more difficult in the subcontinent. You get a lot less time to see the ball. When there is bounce in the wicket, like in Australia, you can stand further back. The ball might come at you at a higher velocity, but you get more time to sight it. Slip is a specialised position. There are no shortcuts. That is where most of the catches go. 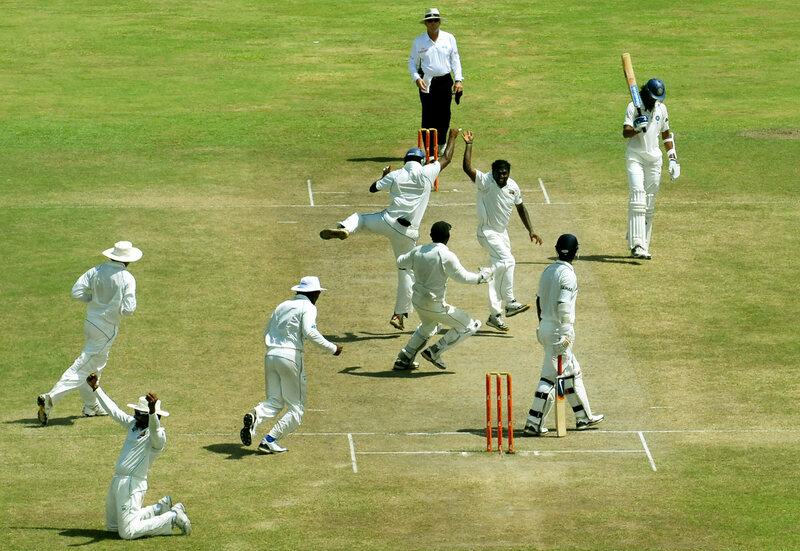 When I took charge of India as coach in 2000 we dropped three or four catches in the slips during my first Test. It was like Piccadilly Circus - people were coming and going. But Rahul was a specialist and his catching at first slip was one of the main reasons our results started to improve, particularly overseas. The best slip fielder I've seen was former Australia captain Bob Simpson. I saw him drop only one catch, when he misjudged his unusual method of taking the most awkward chance of all - the one at chest height - and it bounced off his sternum. Generally he would let the ball hit the soft part of his chest and then clutch it to his bosom. Simpson always stood very wide at first slip to the fast bowlers and this had the advantage of widening the catching cordon. He could afford to do this because he had very good technique, soft hands and a lot of confidence in his ability. There also had to be great trust in the wicketkeeper and Wally Grout, the first Test gloveman Simpson stood next to, encouraged him to stand wide. Simpson's prowess as a slipper was recognised in his first series, in South Africa in 1957-58, when he was included in the team mainly for his catching. With Alan Davidson and Richie Benaud as the prime bowlers, both taking the ball away from right-handers, it was necessary to have someone reliable at first slip. Simpson fit the bill perfectly; he was not only reliable but could also be spectacular, especially off the legspin of Benaud. One of Australia's finest victories under Benaud's enterprising leadership came at Old Trafford in 1961. With England racing to victory thanks to a blistering knock from Ted Dexter, Benaud rallied his troops at drinks by exhorting them to "field like they'd never fielded before". 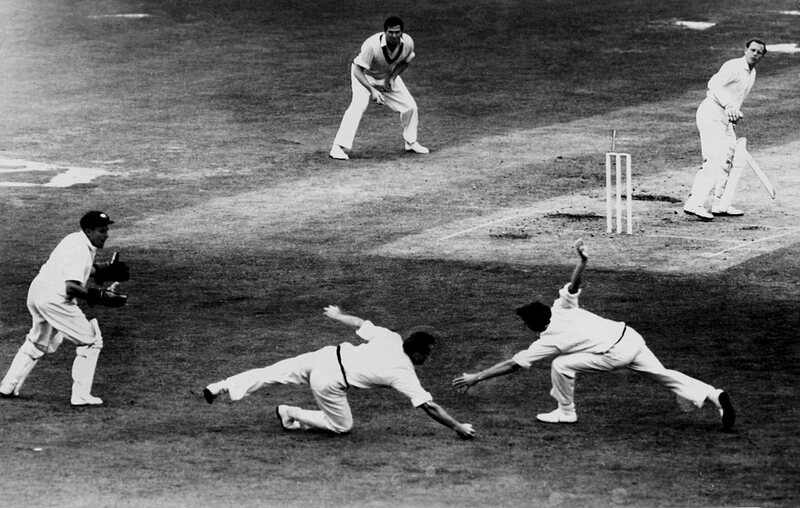 Simpson heard the cry loud and clear and responded with two excellent catches off Benaud. The second one, to get rid of David Allen, was a blinder, an attempted drive edged between keeper and slip and taken brilliantly by Simpson in his left hand. Simpson gets my vote as the best, just ahead of Mark Waugh, Greg Chappell, Mark Taylor, Mohammad Azharuddin and Viv Richards. Apart from Taylor, the others suffered in comparison to Simpson because they weren't at first slip for the length of their careers. When standing back to the faster bowlers there was probably very little difference between Simpson and those mentioned above. However, when it came to catching off spinners Simpson was unmatched and only Waugh came close to his ability. Waugh's spectacular catch at Bellerive in 1999, when Inzamam-ul-Haq edged an attempted square cut off Shane Warne and Waugh took it behind him while diving to his right, was not only a match-turning effort but also reminded me of Simpson's brilliant work at slip off Benaud. For a long time Australians dominated the list of fielders with 100 catches, for the obvious reason that the extra carry in Australian pitches provided plenty of opportunities. 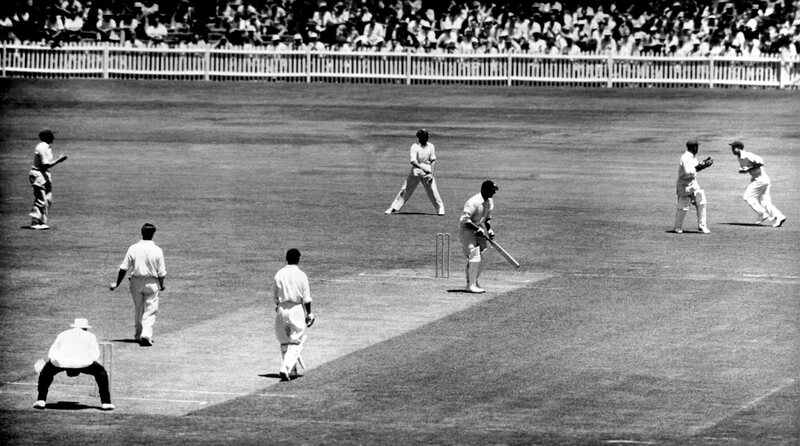 However, Simpson was by far the quickest to reach that landmark, achieving it in only 54 Tests. Apart from his idiosyncratic method of catching edges that flew at that awkward chest height, Simpson's technique was straightforward. His footwork was impeccable. He let the ball come to him and received it in soft hands, and his concentration was superb. He was also athletic enough to dive on the wide edge and take the spectacular catch. That is the hallmark of the great slip fielders: they catch the ones they are supposed to but also make a few spectacular grabs that lift the bowlers and help the team win matches. Simpson fulfilled all those requirements and no one I have seen since has surpassed his skill level. Cricket is a game of partnerships, of pairings. Batsmen bat in tandem and bowlers hunt in pairs. There is the relationship between a bowler and his wicketkeeper, one the deliverer and the other the intended recipient. And then there is a special relationship between a bowler and a fielder: a trusted comrade (he has to be trusted), an auxiliary to the bowler's intentions, an integral part of the process of getting rid of a batsman with the most frequent method at his disposal. The modern limited-overs game, particularly T20, means the most prolific, proficient, athletic and spectacular catchers are the boundary runners, who patrol those regions once regarded as grazing areas for resting pacemen. But not Test cricket. Here the close fielders reign supreme, the blink-of-an-eye, sparrow-catching specialists, whose reactions often suspend belief. Walter Hammond, so it is said, could catch a cricket ball and have it in his pocket before anyone knew it had gone to him. The modern slip fielder has a range beyond the capacity of their predecessors, the standard immense. Catches that once would have been regarded as bordering on the impossible are now taken with nonchalant athleticism. It is longevity of batsman and bowler that makes the slip fielder special. Sometimes that relationship becomes so special that were the bowler to turn up one day and find his man not standing in his usual place, he would feel deprived and uncomfortable, sometimes to the point of mistrust. Bowlers like familiarity. Mahela Jayawardene played 149 Test matches and 96 of those were in the company of Muttiah Muralitharan, and it is this that made the pair the most prolific combination of fielder and bowler outside the realm of bowler-wicketkeeper. To place this in context, Jayawardene took 205 catches in Test matches, a number exceeded only by Rahul Dravid, who pouched five more. Jayawardene averaged 0.759 catches per innings in Tests, and among those who have taken 100 catches, only two Kiwis - Ross Taylor and Stephen Fleming - with 0.895 and 0.859 respectively, and two Australians - Bob Simpson, 0.940, and Mark Taylor, 0.796 - average more. Not all, but certainly most, would have been taken at slip. 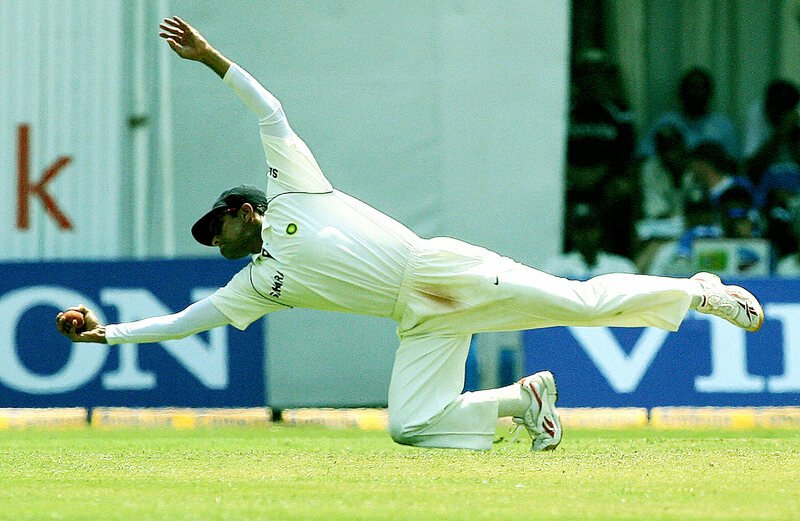 Fifty-five of Dravid's catches were from the bowling of Anil Kumble, and a further 51 from that of Harbhajan Singh. Taylor also took 51 catches from Shane Warne's bowling. 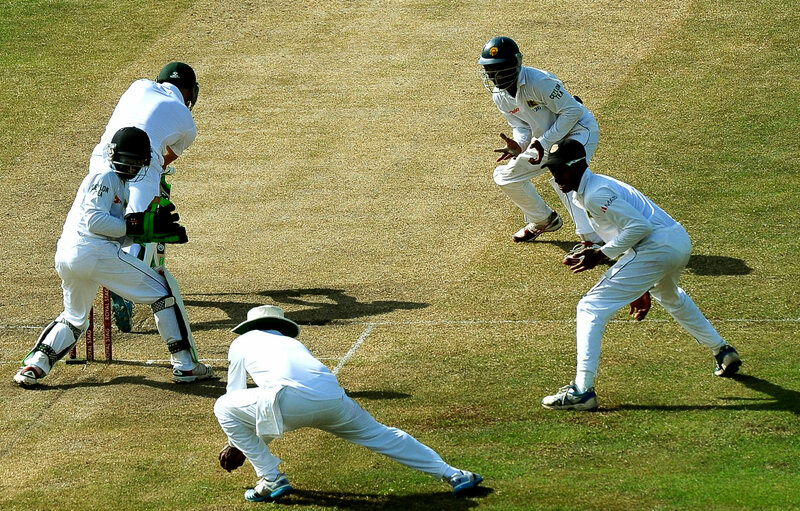 Aside from these instances no combination, except for Jayawardene and Murali, has got to 40 wickets. The entry "caught DPMD Jayawardene b Muralitharan" has appeared in the Sri Lankan scorebook no fewer than 77 times, so no one else comes close. It has required a very specialised skill, beyond simply being an accomplished close fielder, to be able to raise that aspect of the game to the level Jayawardene managed. 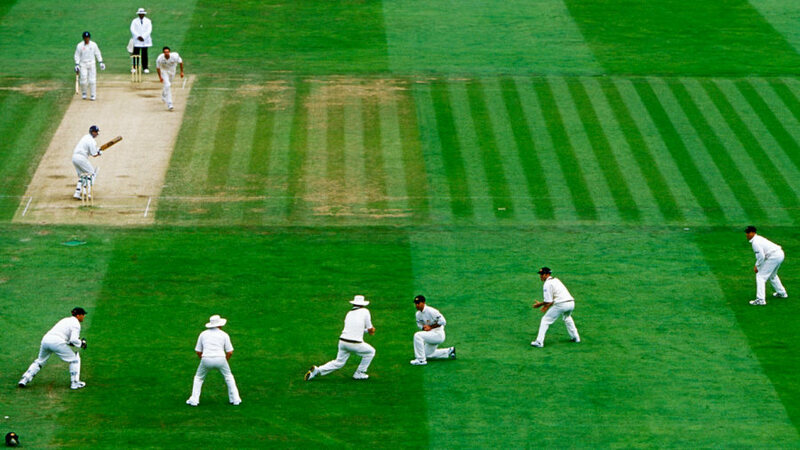 To the pacemen, slip fielders will stand as far back as they can for the ball still to carry. Sometimes, given a point of reference from the wicketkeeper, they are too deep: Ian Botham was never afraid to challenge this, standing forward at second slip, away from the natural echelon and not merely as an act of bravado. But catches from spinners, particularly those from a defensive bat, more often than not arrive low, shin-height, unless there is exceptional bounce, in which case they arrive from a top-edged cut. The fielder has to be as close as possible, but in a manner that takes into account their reaction time. When Jimmy Anderson, not a regular slip fielder to the seamers, took over from Paul Collingwood as slip to Graeme Swann and Monty Panesar, it was shown that his faster reactions meant he could stand half a metre closer than Collingwood, which gave him more chance of catching anything that came really low. Jayawardene stood close. He was also slight of build, lower to the ground, and agile. He had hawk eyes, and hands that could pouch a cricket ball as if enveloping it in a velvet bag. He could read his bowlers like a script, almost to the point of telepathy with Murali, it seemed; Murali was a phenomenon but he would be less of one without the brilliance of Jayawardene. Caught DPMD Jayawardene b Muralitharan: we may never see the like again.